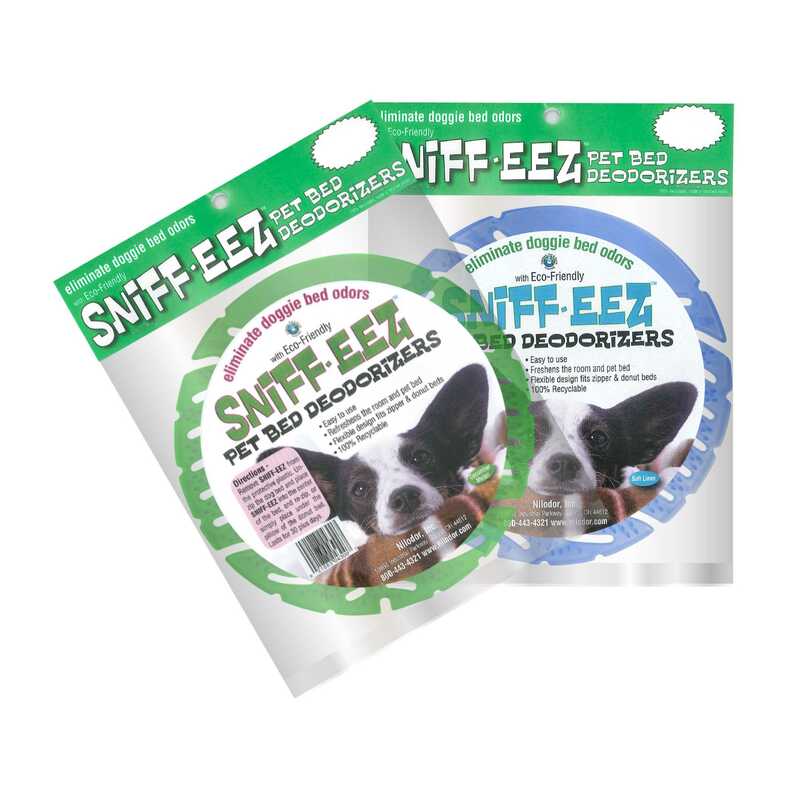 Do you wish there was a way to get rid of those horrible odors that seem to cling to your dog? Does your dog smell like poop? Does your dog smell fishy? 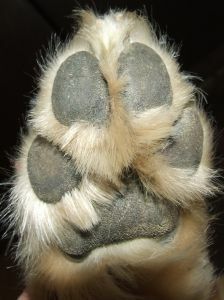 Do your dog’s feet smell? Was there a little skunk and dog mishap in your backyard? 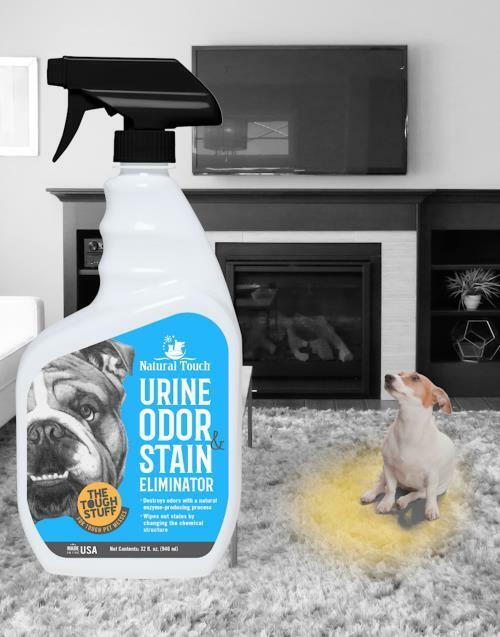 Do you want to get rid of that stinky dog smell lingering throughout your house? 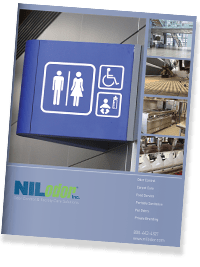 The first thing you should do is determine what is causing the odor. This can be simple or very difficult. 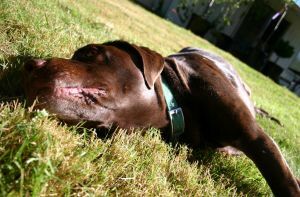 If your dog is outside often, then who knows what they were digging or rolling around in? Some dogs just love to roll in anything that has a funky odor. 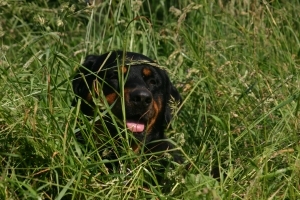 Dogs have great senses of smell and can hunt down all kinds of odors, even in a seemingly perfectly maintained backyard. 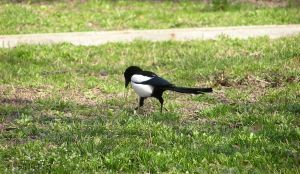 Birds and other animals are going to poop in your yard. 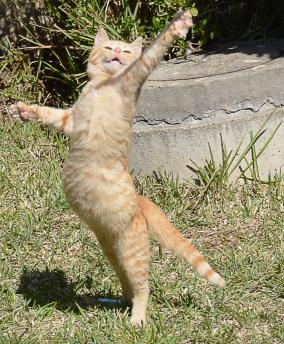 Cats might bring in a dead animal or garbage. Worms will die on the grass, etc etc. Some odors are easy to pinpoint, but some of the others are harder. Let us start with one of the reasons dogs stink. Why do dogs love to roll around in things that stink? 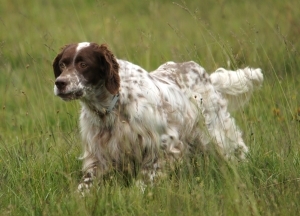 Dogs are natural hunters. When you use a shampoo and spritz that smell unnatural, they are going to try to get rid of the smell. Think about it. You can tell when someone wears too much perfume right? It is not pleasant. 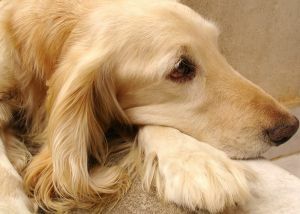 A dog’s sensitive sense of smell probably intensifies the fragrance of the shampoos and products you use on them. They are probably annoyed by it too. How are they supposed to hunt a squirrel when they smell like a human? I am not at all suggesting to stop using those products or to keep your dogs indoors. I am just explaining one of my theories. There are spritz products that you can use between baths that help get rid of odors. These are incredibly convenient and simple to use. 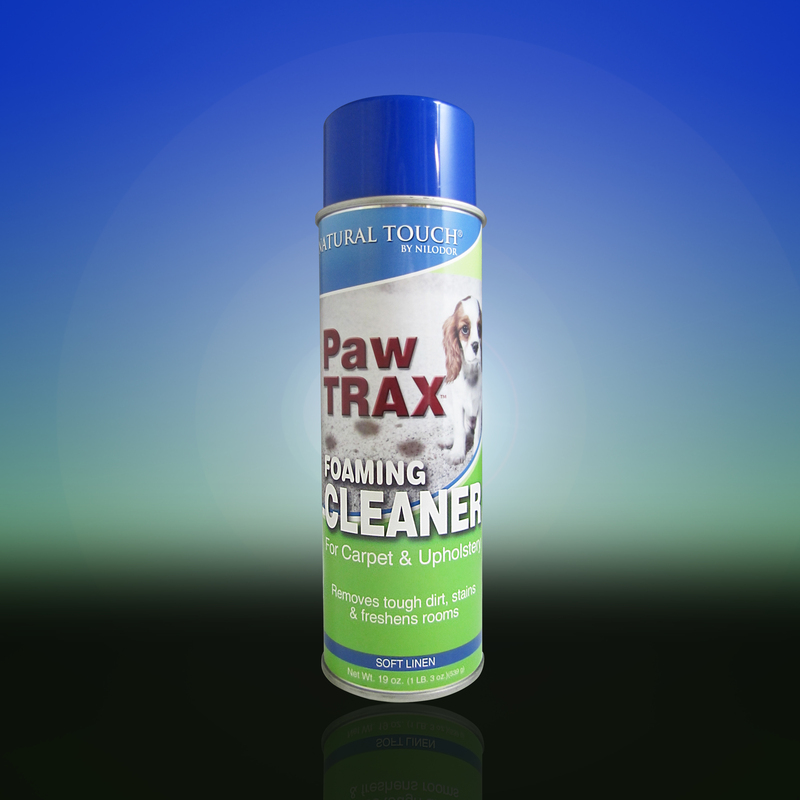 They have immediate results, but sometimes you can’t just spray away the odors. Sometimes the only thing that is going to get rid of the odors is a bath. You cannot perfume away clumps of poop and other stinky matter. You have to remove them from your dog. 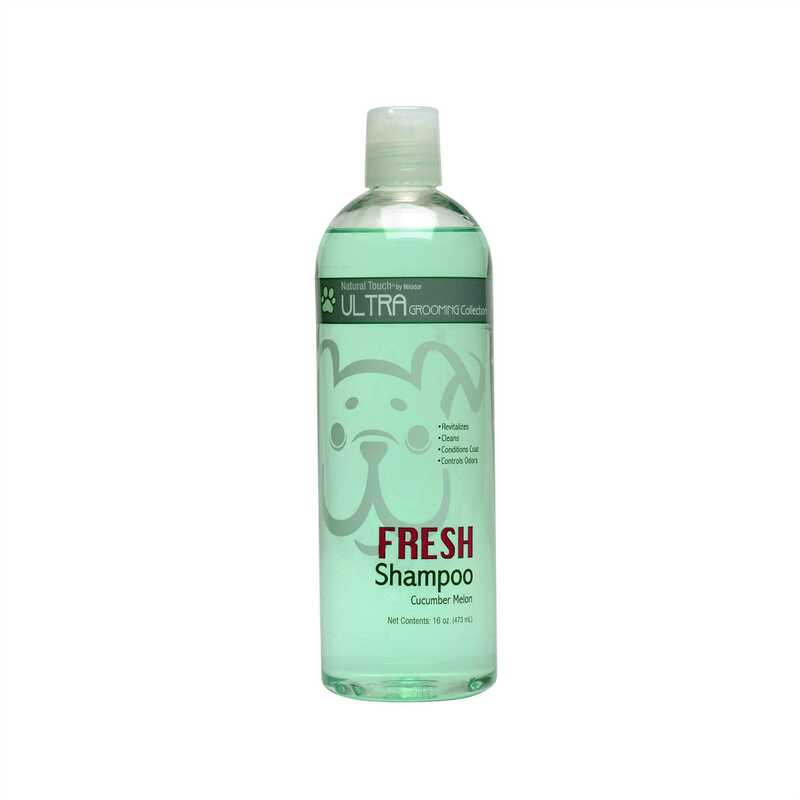 Normal dog shampoos just mask dog odors, so make sure you use shampoo that has ingredients that counteract the odors. A bath can be a pain, but with the proper shampoo or shampoo/conditioner a variety of awful stenches can be removed. 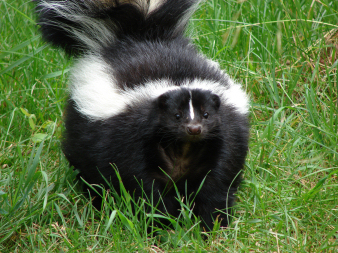 (Even skunk odors can be vanquished). If your dog is properly groomed, it can greatly reduce the amount of time needed to get them clean. It can also make it easier to keep them clean. 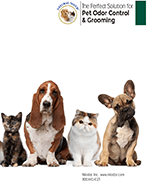 Of course, all breeds are different and required different grooming methods. 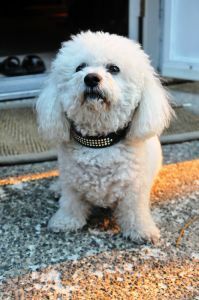 If your dog is not properly groomed around the feet, mouth, underside, or um unmentionable areas, then odor causing crud is going to build up. If you had hair around the top of your kitchen garbage can, do you think it would smell that great? If you wore shag slippers outside, do you think it would be easy to keep them clean? 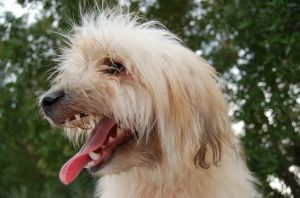 If your dog’s breath stinks you can brush its teeth with doggy toothpaste or give them carrots to eat or minty dog snacks. Make sure to clean their dog bowl. Bacteria can grow inside the bowl and are not healthy for your dog or for their breath. Nilodor is coming out with a new Fresh Breath Foam for dogs called LOL (Lots of Licks). 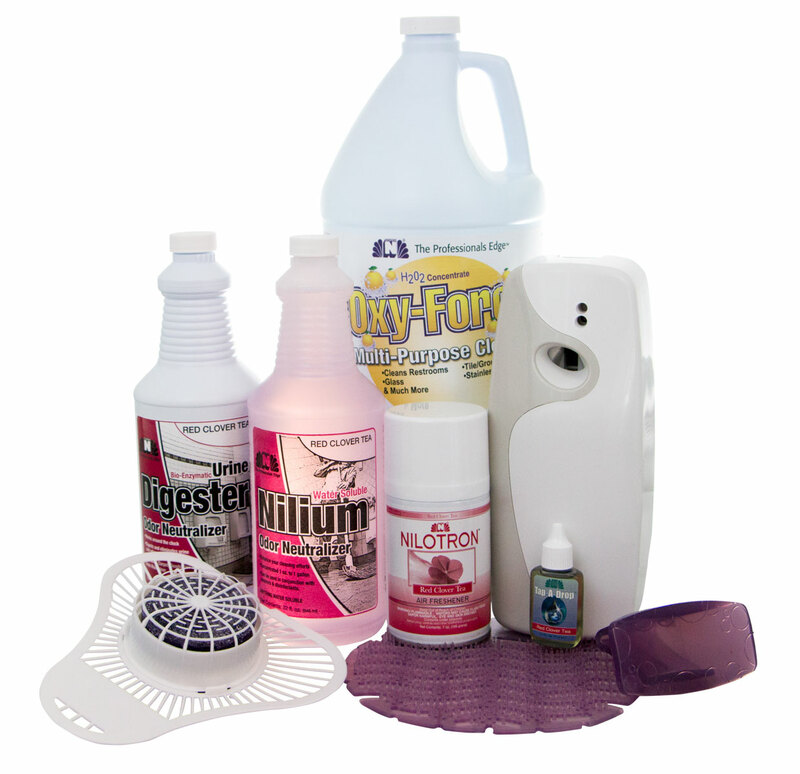 Getting rid of dog odors in your home can be simple as using a product. 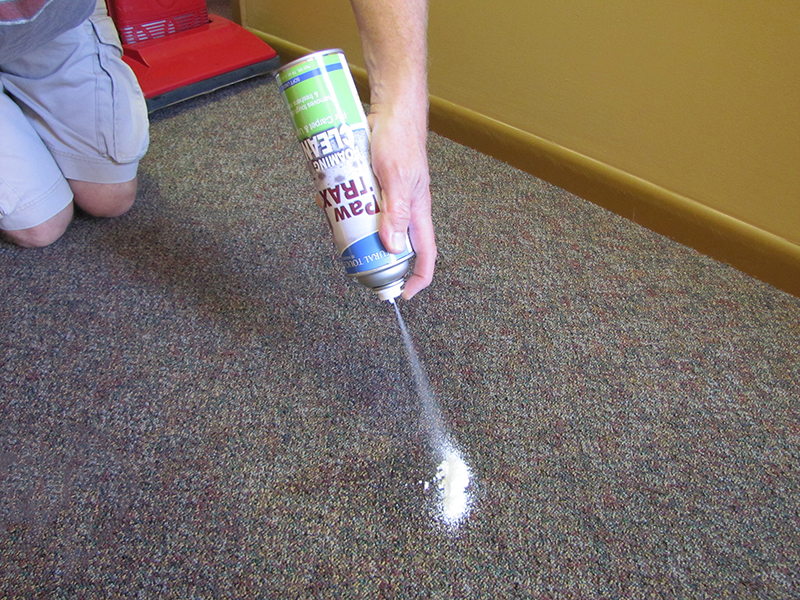 You can use baking soda in your carpet or on certain pieces of furniture to help absorb the odors, but baking soda also decreases the life of your carpet and furniture because it is an abrasive. It also might not be safe to use on some carpet or furniture. 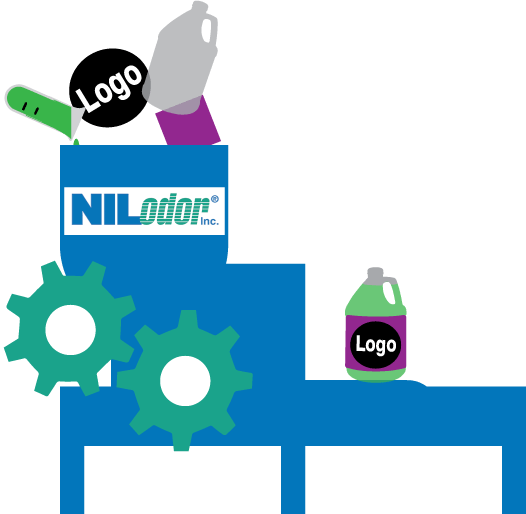 Nilodor’s carpet and fabric deodorizers are not abrasives and contain both fragrance and an odor counteractant. 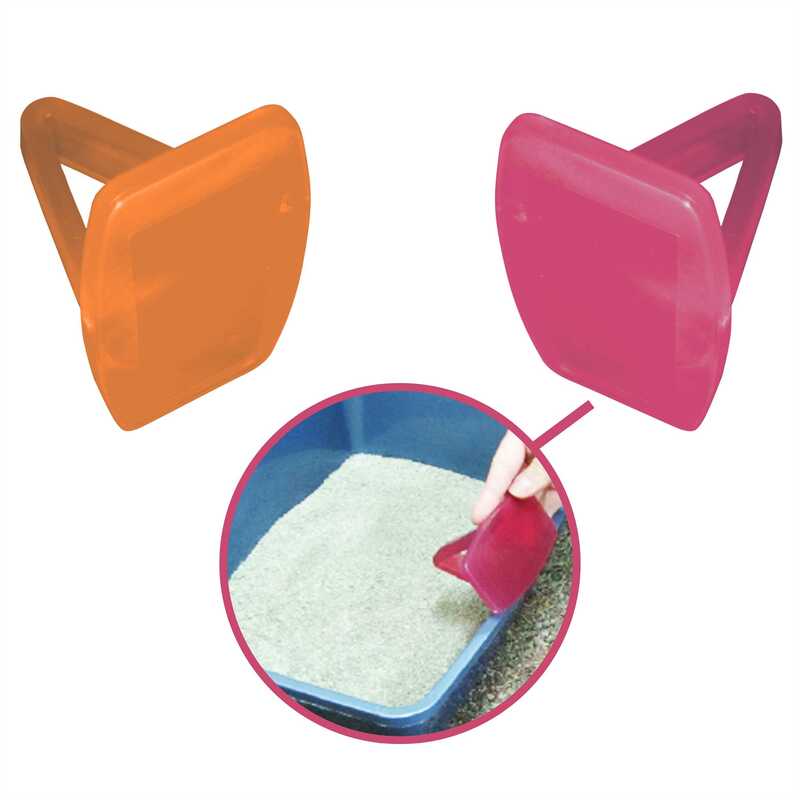 These help your dog from repeatedly going to the same spot in your house to do their business. Always follow directions and warnings on any products you use. You can use incense to help drown out the house odor (incense isn’t exactly safe), but if you want to get rid of the smell, you need to use an odor neutralizer. 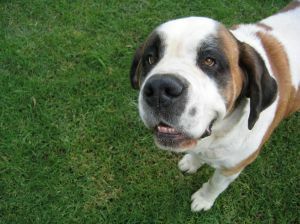 Source removal is required for pet accidents or the odor is just going to keep coming back. 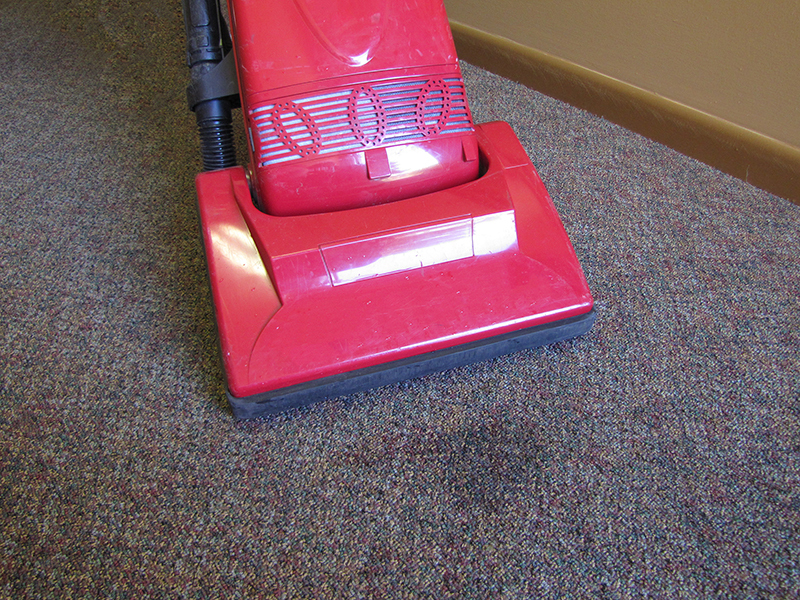 Vacuuming up pet hair can also help remove that dog smell from your house. Periodically cleaning your dog’s bed definitely helps as well. 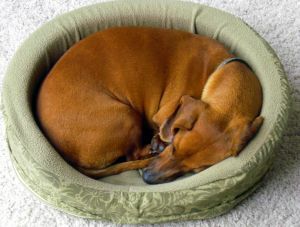 You can always add an odor neutralizer to the laundry when you wash the pet bed or try a Pet Bed Deodorizer.